At Rennsport Reunion VI, Porsche has unveiled the limited edition Porsche 935. 77 of the clubsport vehicles that pay homage to the legendary 935/78 race car will be produced. With such a small number of vehicles available how can someone that really wants one purchase one? The new 935 is based on the Porsche 911 GT2 RS. As such it gets the same 700 horsepower twin-turbocharged flat-six powerplant. That’s the GT2 RS that is able to lap the Nürburgring faster than the 918 Spyder supercar. You can’t just walk into a Porsche dealership and buy a new 935. To buy a special limited edition car takes some work. You need to build a relationship with a manufacturer to get an extremely exclusive vehicle. To accomplish this is not cheap. First there is the cost of the Porsche 935 which starts at 701,948 euros. The US pricing is still to be determined, but if it is based on the current rate of exchange it would be $813,663. Before you can pay the price of a small mansion in parts of this country, you need to be given the opportunity to purchase this. To accomplish this you need buy a good amount of cars. To make this happen quicker, you’ll need to go into a dealership and order one of each of the high-end models that Porsche produces. Purchasing a GT3, GT2 RS and perhaps a 911 GTS, 718 Boxster and 718 Cayman to round things out will start to get you noticed. When ordering these cars, option things up all the way with matching unique options so that even the assembly line will notice you. The more unique the options the better and custom colors will really make you stand out. The next thing is to attend every event that Porsche invites you to. This gives you face time and will help people remember you. In your collecting you need to become a brand ambassador and never say anything negative about the marque. If you keep this up and continue to be one of their most noticeable customers and you will start getting contacted when extremely limited edition cars are produced. Of course for the 935, you will need to buy a lot of cars to get within the just 77 lucky customers. 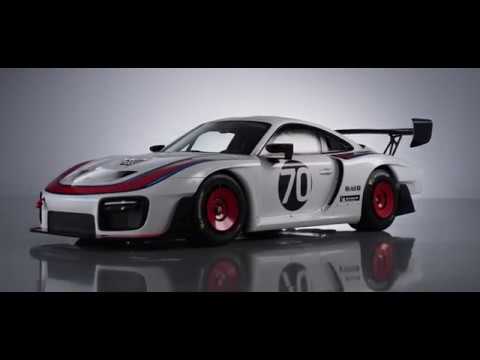 Now that is how you can purchase a limited edition car like the 935. Doing so will cost you a fortune, before you pay a small fortune for the 935. Of course there is an easier and potentially less expensive way to buy a 935. Simply follow the top auto auction houses and wait for a new Porsche 935 to go across the auction block. Once this happens you will likely pay over retail, but it will probably cost you less than buying all the cars that you need to in order to be noticed.